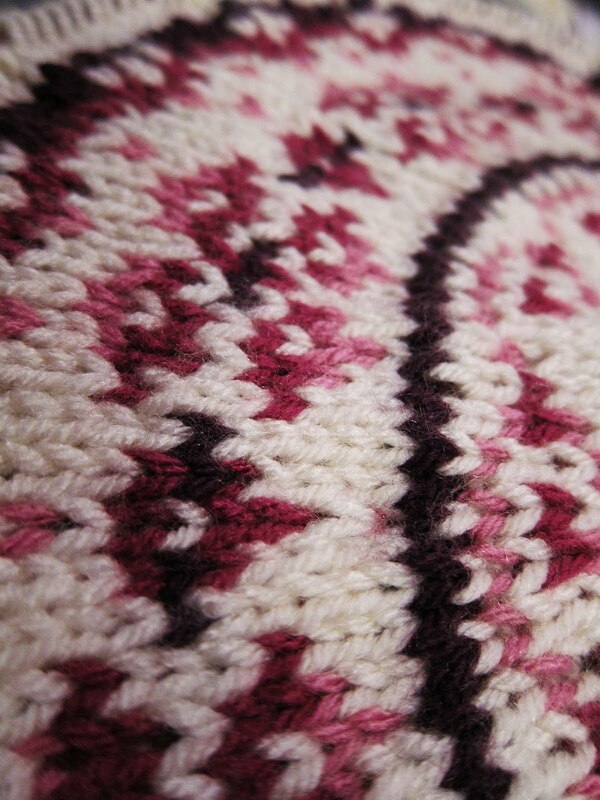 - I think I like looking at fair isle stitches rather than knitting them. 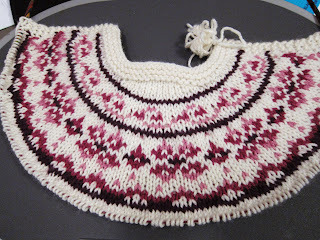 - I realize why most fair isle sweaters are knit in the round and steeked. Purling + Fair Isle = No fun! 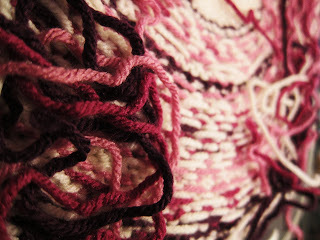 - EZ recommends in Knitting Without Tears to put a couple of short rows in the back neck so the collar will sit better. I felt really smart for doing the calcs and executing the short rows all by myself. Then I thought after I knit them, does a baby really need the sweater neck to lay properly? All they do is lay down and sit up anyway right? oh well. 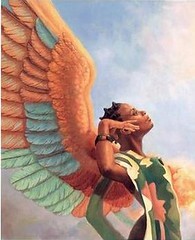 - One must have options when executing a make one to get the effect you want. I tried 3 different ones before I found the one that worked properly. - Buttonholes? I can barely pay attention to what row I'm on, then to throw a [K2tog, YO] into the mix. Thank goodness for plan B, sew on snaps! - I found another reason why fair isle is knit in the round. Three words: Weaving. In. Ends. - I should have done a gauge swatch, but I like living on the edge :-) I still hold the option to eat those words later. 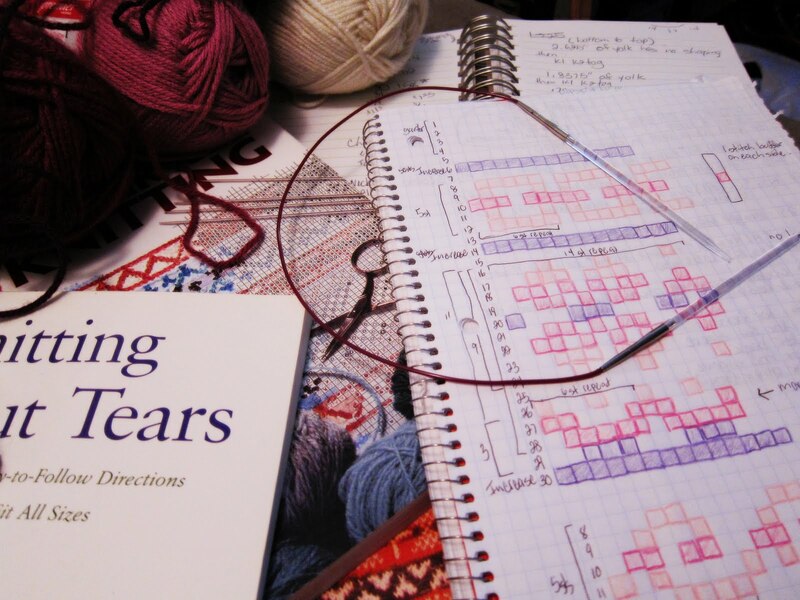 - This is the first time I'm actually looking forward to knitting many rows in stockinette. I'm not ready to give up on this blog. Even though I neglect the poor thing, I still like to express myself this way every once in a while. I've been up to a lot but I'd rather not be guilty of information overload so I'll just talk about what I'm working on right now. I have a baby shower to attend pretty soon so I had to think of what I would make for this event. 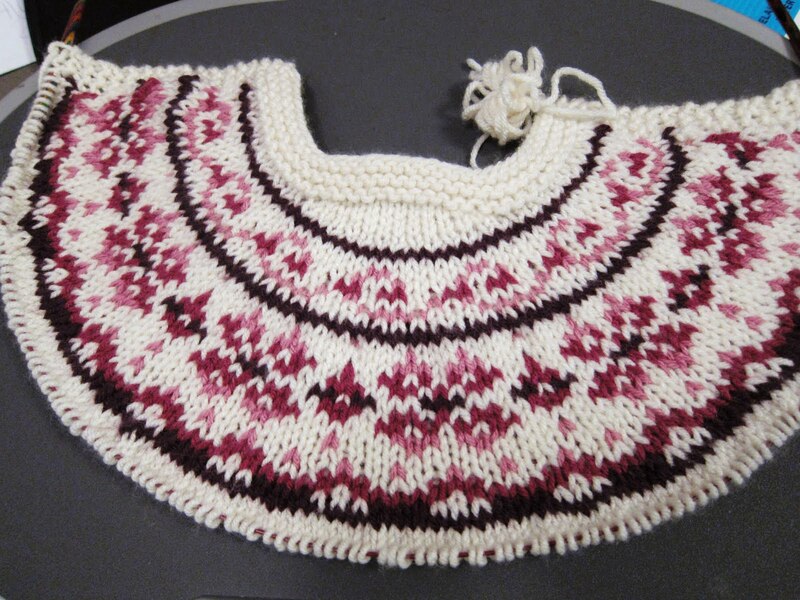 My buddy Maribel from my Barnes & Nobles knitting group has been working on this baby set for her cousin who's due. The set consists of a log cabin baby blanket and the five hour baby sweater all done in shades of purples. I fell in love with her sweater because the increases didn't look like the ones done in the original 5 hour baby sweater. Of course when I looked on Ravelry there were about 80 different versions of this sweater but I narrowed it down to the one Maribel used which is this one (rav link). I thought this sweater would look great with a fair isle yoke so I decided to try and design one. I'm using all the stitch and row counts from the original pattern but I'm only doing 3 increase rows based on the Elizabeth Zimmerman Percentage System (EPS, they have a group on Rav, go check it out) I'm using 5, 11 and 4 row patterns from Sheila McGregors book Traditional Fair Isle Knitting and Alice Starmore's Fair Isle Knitting book. I have every thing mapped out so all that's left to do is cast on. Hopefully, I'll be able to document the whole process or at least show pics of the FO. Until next time.